Totana.net - "FITUR 2019. It is not the same to promote as to promote" Now Totana wonders if "the trip of our mayor and his entourage to Madrid, has it been to promote Totana or to campaign?" "FITUR 2019. It is not the same to promote as to promote" Now Totana wonders if "the trip of our mayor and his entourage to Madrid, has it been to promote Totana or to campaign?" There are questions that create some uneasiness in the "political elite" totanera. The fact of asking for information about the participation of our consistory in FITUR, has brought a long list of the achievements in tourism of the previous Mayor, the great "maker" of everything. The poor councilor of tourism of the current corporation (which has not been mentioned), apparently does not deserve even a small allusion. Put as achievements the steps that as a liberated politician should be done, is how to thank the bank for letting you take your money from the ATM. It is not an achievement of altruistic character, it is simply, fulfilling the duties of the paid position that it occupies. Nor is it so, to calm green ecologists in order to make a pool in the saint or to pretend that in an informative commission, it is authorized to accept "the gift" of an Italian palace in exchange for a small, undefined compensation. The first and main phase is tourism planning based on what we want to become as a municipality and how we plan to achieve it. This is done on the basis of many meetings with all those involved, not with an "order and command". also promoting the involvement and participation as much as possible of the residents of Totana in the projects to be developed. And the third, and no less important, the adequate promotion in all types of events related to tourism that are deemed appropriate for the promotion of our municipality, whether commercial, cultural or economically speaking. FITUR is one of those events. 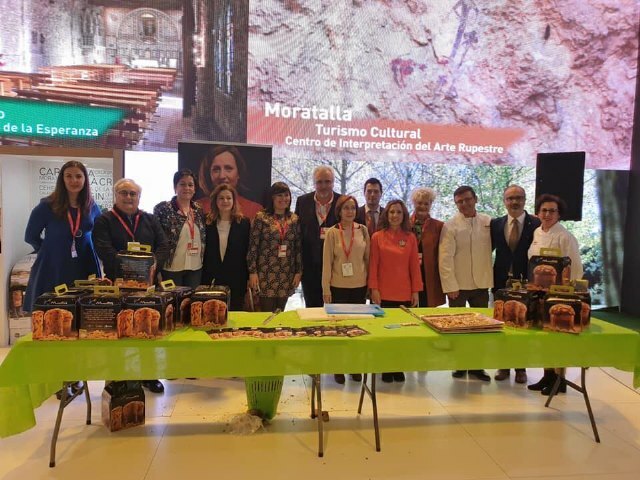 In the Stand of the region of Murcia there were several spaces for the promotion not only of tourism, but also of another very important pillar for the promotion of it: gastronomy. While we see images of:, chefs, cheese makers, brewers, confectioners, etc. 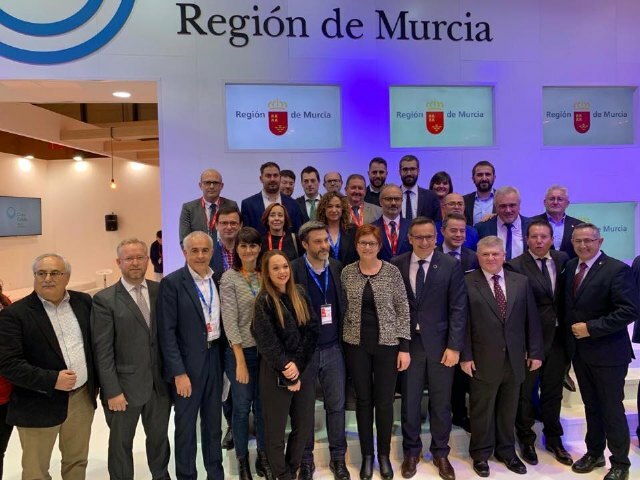 These, who participate in the stand of Murcia representing their area, some by the northwest, others by the Mar Menor, the Costa Cálida, and the rest also represented in the free stand "1001 flavors of the Murcia region." But Totana no, no trace of Totana, we have not seen any image showing the rich gastronomy that we have, neither the crafts, nor the processions, nor the carnival, nor even a promotional video as the mayor of our neighboring town has done, briefly reviewing the good Aledo has in all its areas related to tourism.On our municipality, we have only seen photos of the mayor surrounded by all the clique of his party in "campaign mode", and that is not the same promote than promote. of fairs, you have to go to the desire to work, with all the available resources and "weapons" available in the field of tourism and with all the appropriate professional personnel. s, make contacts, visit exponents companies and offer Totana as a tourist attraction. Travel agencies, cruise companies, motorhomes and camping, as well as others related to nature tourism and free time. Some still believe that sitting at a table with the purpose of distributing leaflets, putting a video up to date and little else, Totana will be promoted, but of course it is not the same to promote as to promote. The trip of our mayor and his entourage to Madrid, has it been to promote Totana or to campaign?